Whether you are a boating fanatic or work in the marine industry, we have a massive selection of products. Our spares department has everything you need to mend or replace parts. Alternatively, browse our marine clothing department. It boasts a range of top brands and styles, so you'll be sure to find the item you are after. We also stock a huge catalogue of general products from boat fenders and buoys through to hardware, safety equipment and ropes and wire. Whatever marine supplies you need, we have it here at Norfolk Marine Chandlery. Our shop covers 18,000 square feet and houses more than 14,000 products, so; order online for fast delivery direct to your door. We even offer free delivery on UK orders over £100! (exclusions apply). Browse online for Marine Chandlery and Boating Supplies from the experts today. Or; why not come and visit us in store and speak to our enthusiastic staff fully trained in all aspects of chandlery, they will be pleased to answer any questions or queries you may have, and offer advice to help you select the correct items. Don't forget, you can contact us easily online, too! 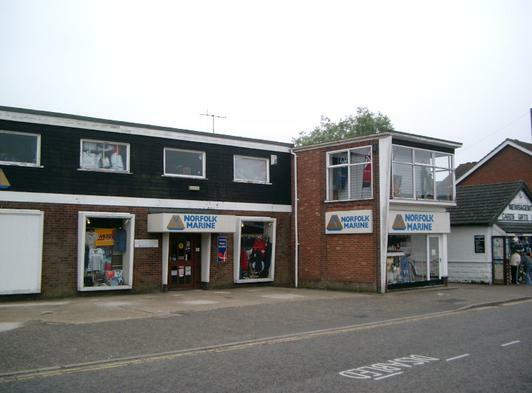 We look forward to being of service to you here at Norfolk Marine Chandlery. Here is a selection of the items we stock.